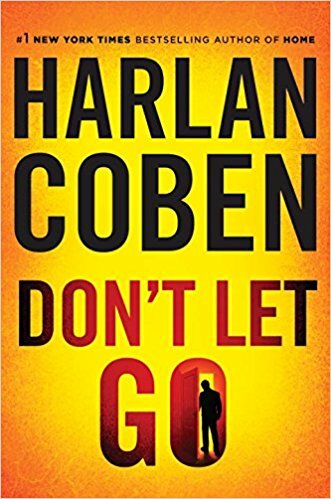 Don’t Let Go is another riveting psychological thriller by Mr. Coben! Nap lost his twin brother, Leo, and Leo’s girlfriend, Diana, one high school night to a train collision. The same night Nap’s girlfriend, Maura, disappeared. When Don’t Let Go begins, it is fifteen years later. Nap is a police detective. Previously, Nap had run Maura’s fingerprints in the system but nothing was found. Then one day Maura’s fingerprints appear at a murder scene. The homicide detective investigating the murder contacts Nap. Additional information forces Nap to reconsider the “facts” of that night fifteen years ago. Don’t Let Go was a real page turner. I was reading this book at work, at home, at traffic signals and everywhere else. It was that compelling. I love twisty thrillers and Don’t Let Go has that in abundance. I have read many thrillers so usually I can see the conclusion coming. Not in this case! The clues were all there but cleverly concealed. The ending was fantastic and unexpected. I would recommend this book for anyone who likes a good mystery or thriller. It would be perfect for fans of John Sandford and James Patterson’s Alex Cross series. It is especially recommended to those readers who like to try to solve the mystery before the detective. Don’t Let Go is a stand-alone thriller. Even though the author has written twenty-eight previous books and I’ve read them all as they were published, I would recommend starting with Don’t Let Go. Mr. Coben is at the top of his game and his profession. Reading Don’t Let Go first will compel you to read the others. 5 stars! Thanks to the publisher, Dutton, and Netgalley for an advanced review copy of Don’t Let Go in exchange for my honest review. This book will be published on September 26, 2017.